With the Inspection platform everyone can easily handle claims. You quickly plan assignments for inspections. The inspector you have chosen will perform this and you will receive the final report for further processing in real time. In this era, as a professional fleet manager, it is not possible to do without a fixed guideline that clrearly informs customers. A clear protocol is decisive in controlling the process of damage costs in the settling of lease or rental contracts. In a ‘hand-in protocol’ (or damage repair protocol) you can record what you understand by acceptable and culpable damage. The current car technology is changing so fast that you have to adjust this protocol every six months. We do this for you, so you never lay behind and never miss anything. All your customers will be enthousiastic about the informative reports and correct communication facilitated by the application. Enthusiastic customers are therefore more positive about charging of claims. Everyone wants a fast response time and nobody wants to forget anything. 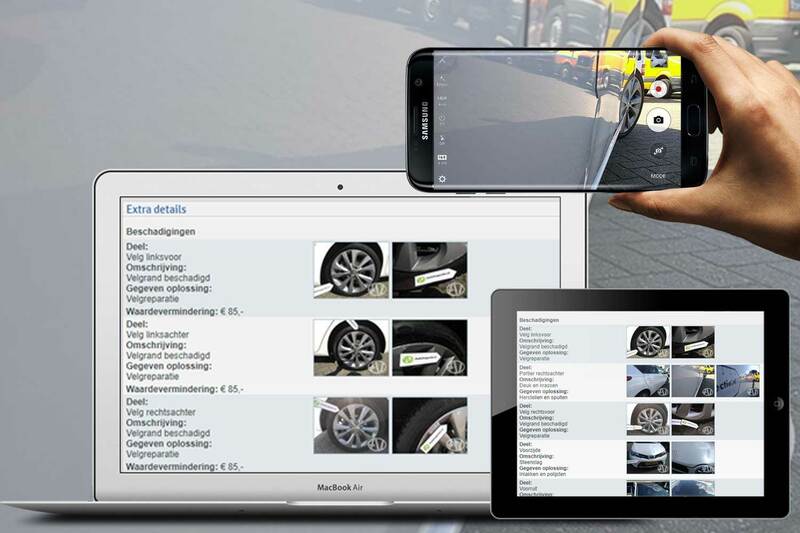 Transfer of work is easy and time-saving with the inspection platform, instructional videos and manuals. With this tool you can, if you wish, have higher returns on culpable damage. That can be at least 15% more. A lot of money with an application that saves time and effort. Calculate on this display quality to attract more and better buyers. Anyone can easily settle claims with the Inspection platform. You quickly plan assignments for inspections. The inspector you have chosen will perform this and you will receive the final report for further processing in real time. Recurring inspections can be monitored and everything can be linked directly to the own lease management system. The Planning helps you to do your own planning for inspectors and transporters within your network. You can rely on well-organised data storage that you can always find again. With the Pool management you organise, for example, the repair of damage, the refurbishment and other follow-up actions after intake. With the option CarSelfScan you can distinguish and handle the inspections carried out by drivers or hikers on your dashboard. The Inspection platform focuses on your own process of claim handling, of course with your own look and feel. This method enables you to retain your freedom to organise steps in the follow-up process as desired. Everyone can learn to work with it quickly and easily. An additional advantage are the variable costs; you pay per inspection. Leave your details to download the Inspection platform White Paper and/or for more information.